I (heart) RED!! – Nice dress! Thanks, I made it!! 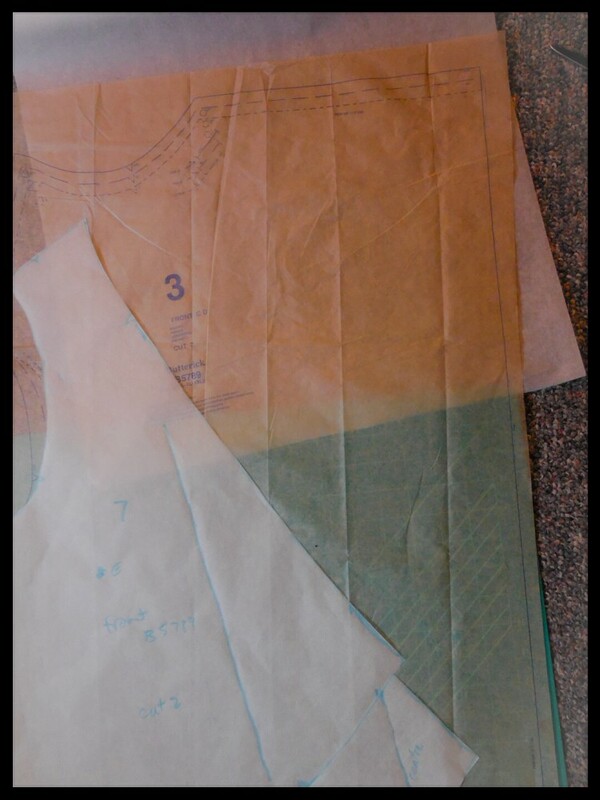 The pattern pieces for the fronts were not too much different, one had a larger flap with a rounded neckline, which I later cut straight across. This is the tracing of the two fronts combined. I straightened the neck line out even more as I was sewing the cardigan up. It just didn’t feel right as is. I ended up with one front piece as is and one with a large flap attached to it. Oh yes, I also deliberately used the wrong side of my fabric. I remember someone saying that if the right side and the wrong side looked the same, then who cares what side you use. Well the wrong side was slightly different. It had little lines in the fabric, not smooth like the right side, so it had a nice texture and feel to it that I preferred. 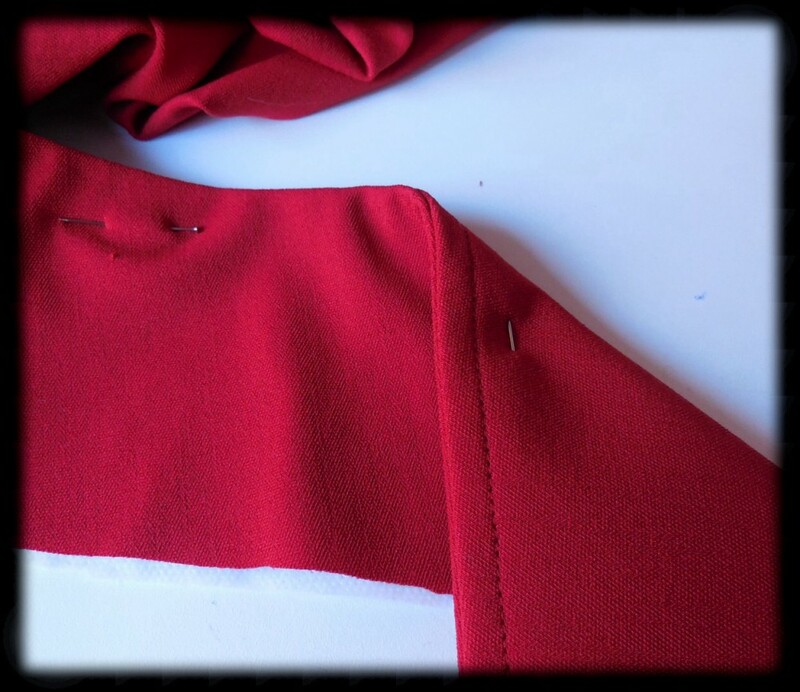 The shoulder seams were sewn with double fold bias tape. I didn’t want any stretching over time at the shoulders and it made the insides look nicer. 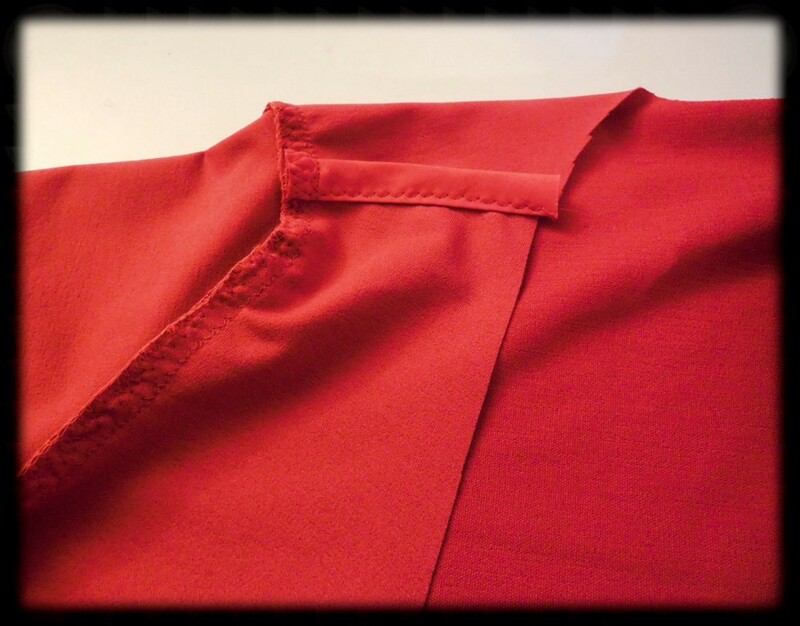 The sleeves were sewn in and the side seams were sewn up. 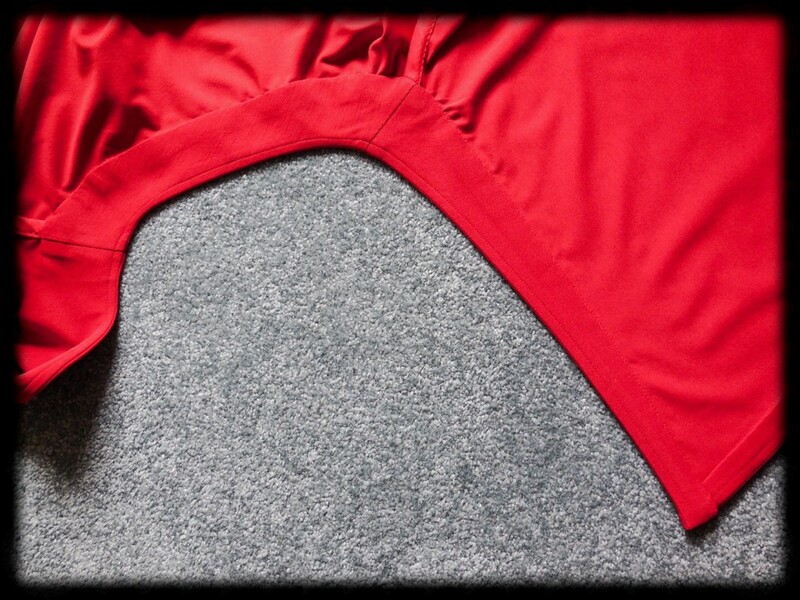 Now when it can to the band pieces, the bottom hem band was made longer on one side to run up to my shoulder, following the curve of the extra flap, and it was gradually tapered to half the width. The neckline band was the right length but I made it gradually taper to half the width at my one shoulder too. I couldn’t imagine having such a wide band on both edges running up to and across to my shoulder. My fabric was light weight so I interfaced one side of all the band facings. I under stitched all the band facings too. 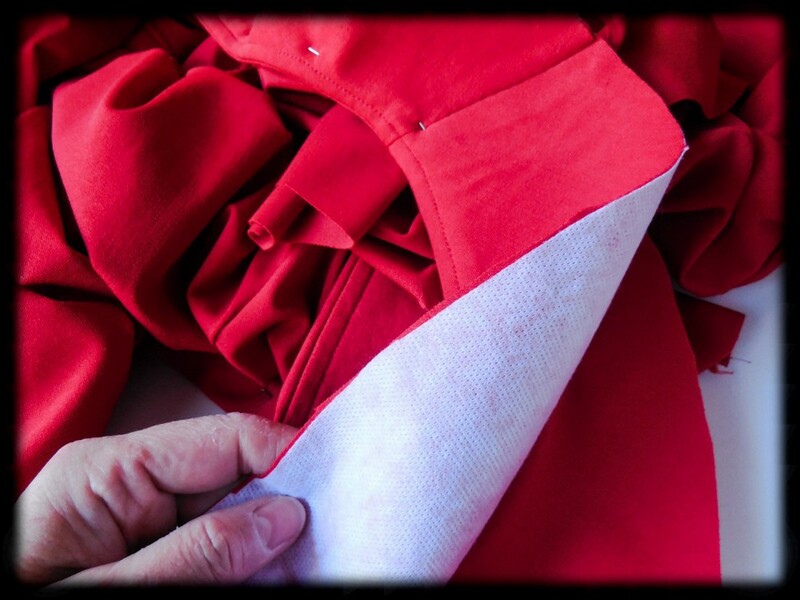 This stops the seam from rolling to the right side of the fabric. 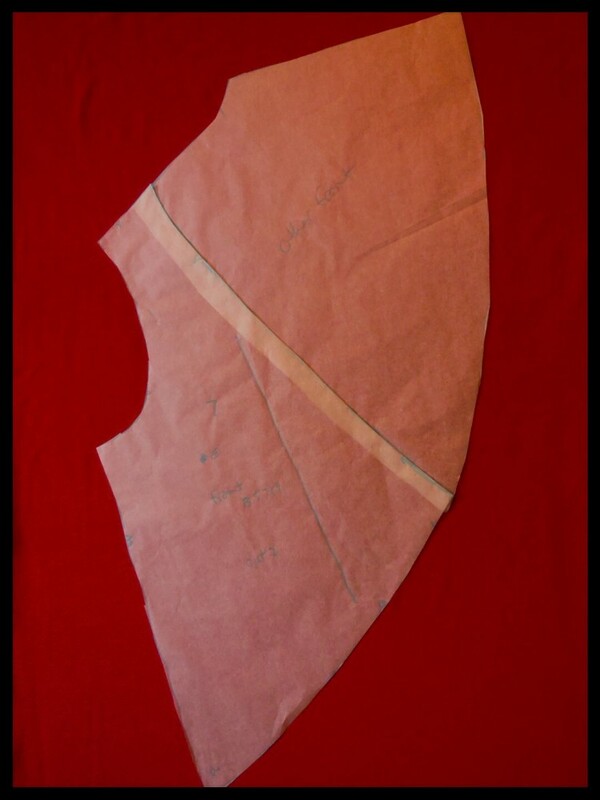 Just open out your facing, iron your seam allowances to one side (you can trim the lower seam allowance if it is too thick), and stitch them down close to your seam. I used my 1/4″ seam foot as I wanted a perfectly straight stitching line in case my cardigan opened up and my under stitching became visible. This is the inside of my cardigan with the neck facing band attached on the view E side. This is the inside of my cardigan with the view D side shown. It might be difficult to see but the bands are 1/2 the width of the other side. Finished cardigan, view E side! Finished cardigan, view D side! 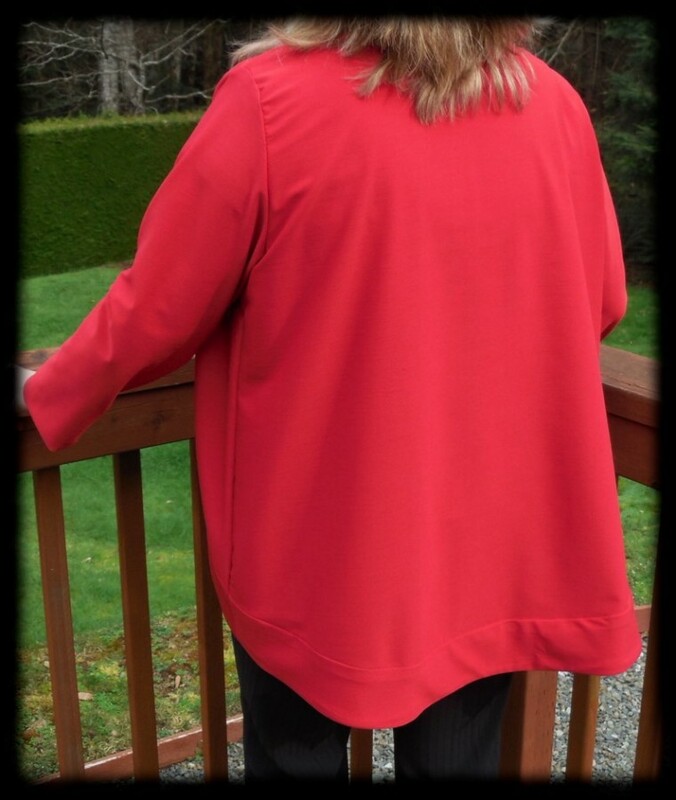 I have spread out the flap fully to show you how big it is, but when I wear it, I don’t have to spread it out like this – I could pin it loosely with a nice drape from shoulder to shoulder or I could just leave it to hang as the fabric does have a nice drape. You are not going to see my hair today as it is kind of wild-looking! I do love this RED! Back of cardigan. I never noticed how long it was when I was making it… concentrating on the front pieces, I guess! Oops! there’s me. Bad hair day and all. Don’t you just love this weather? I heard on the news there was a fellow in Boston that had started up a web site to sell the snow that has fallen in copious amounts in his front yard. Of course, by the time it arrived at your home it was melted and was nothing but a bottle of water. Somebody is making off like a clever bandit with the loot! If we ever get snow here (knock on wood! ), I will be sure to post a photo of it! How’s your weather been this winter? Well I must go. There is a treadmill in the other room calling out my name. Then back to sewing my jeans tonight! I know right! I have never had yellow up to my face since the time I tried it on in the store change room and almost died! Therefore… The walking dead! Very cute! I love red too. I will have to try this pattern. I liked sewing it up! It wasn’t too difficult and it is very comfortable! What a cool idea! The red looks great on you. My favorite view is “D”. This pattern certainly has lots of choices! What a clever mash-up! I love it. Thank you! I don’t have many brooches, but this and another are my favourites! Great idea combining the two different front bits, I never would have through of that! The drape is absolutely beautiful, it looks great! Thanks! 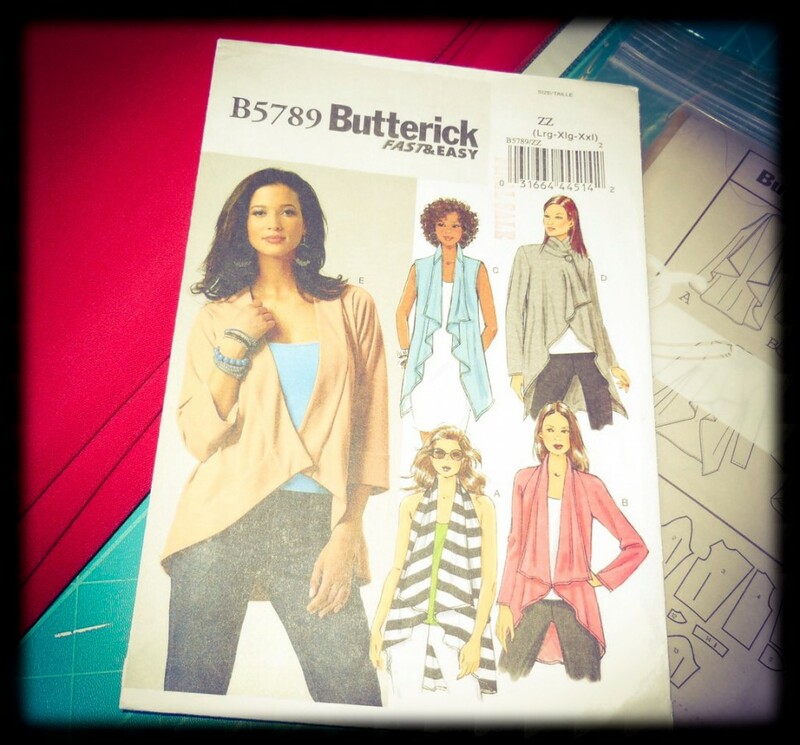 It’s pretty easy to do when you are using only one pattern, the pieces fit quite nicely! Thank you! I like to have the extra layer just in case the office gets drafty! Thank you! I must say I did enjoy this Challenge immensely! 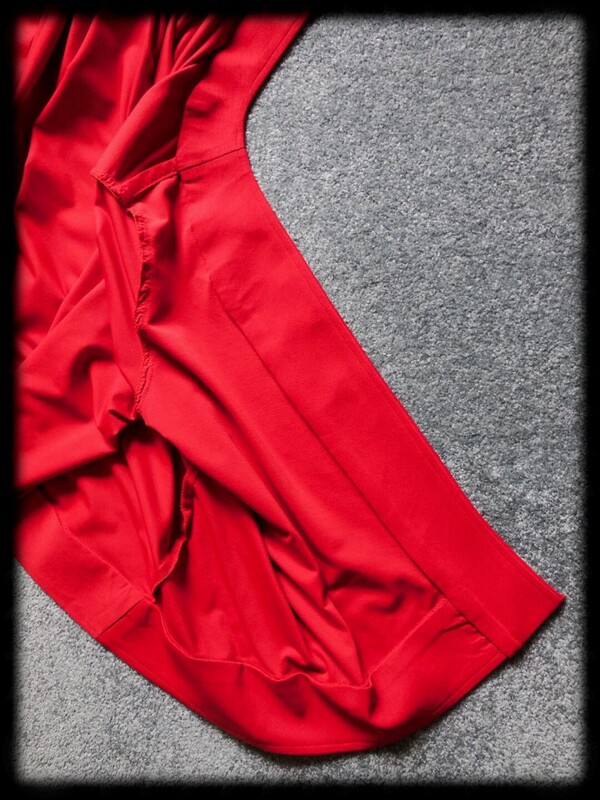 Beautiful drape and colour, it really suits you! Thank you! I wish I had more of this fabric, perhaps a blue? WOW! That’s simply BEAUTIFUL and I love the COLOR!! 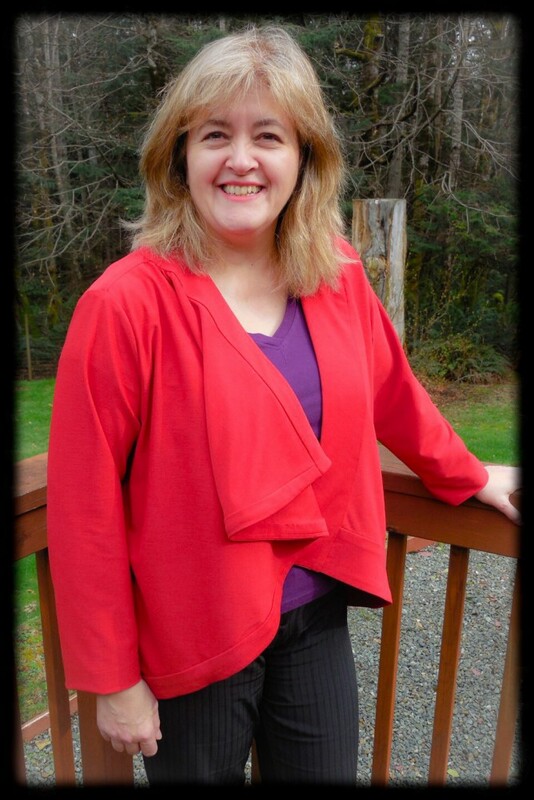 I think a red cardigan is more useful than black. I heart red too! Very cool! 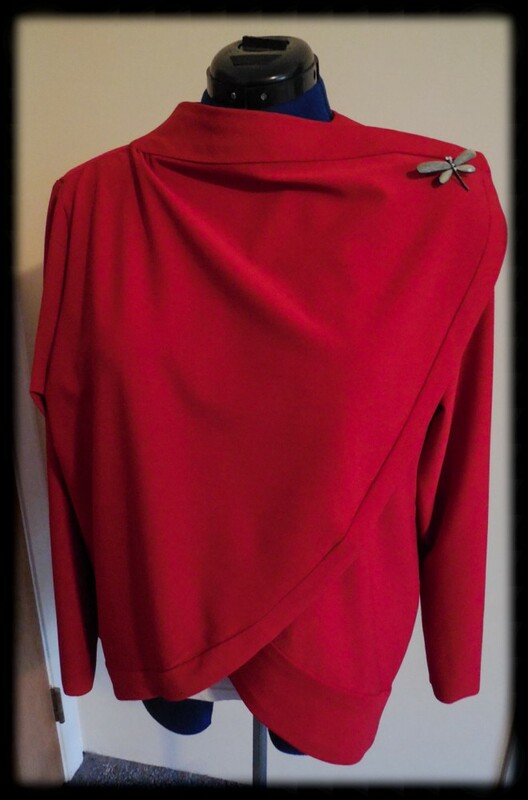 The color is fab and I love the drape of the neckline/front. Looks like doing what you were told worked out, LOL! Ya, THIS time! 😄 I don’t usually take “being told what to do” well! You are right about the length. I wore it to work today and it was all round comfortable. Thank you for the compliments and the comment! 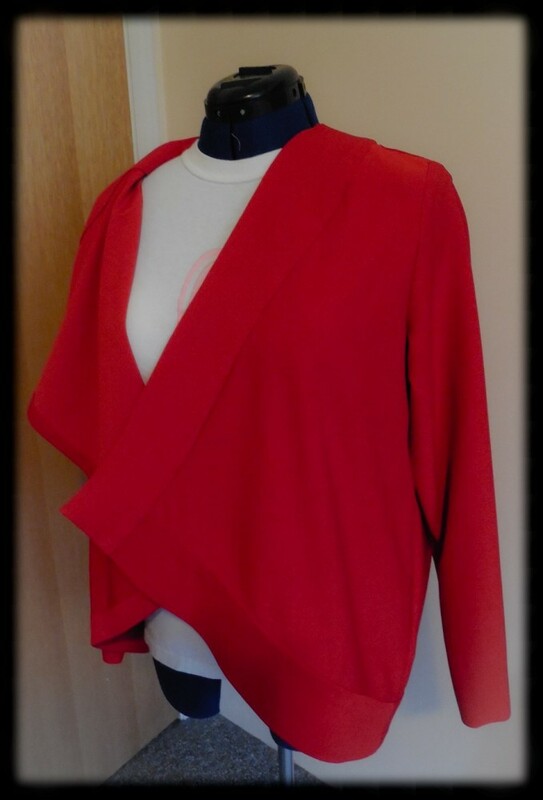 Lovely cardigan, it drapes beautifully and the colour is perfect, now I want a red cardigan too!! Well it’s a good pattern, and there are lots out there too! Post if you do one too! I actually have the Julia Cardigan and would love to make it some time soon 🙂 sorry for the misspelling above, I meant it drapes beautifully. 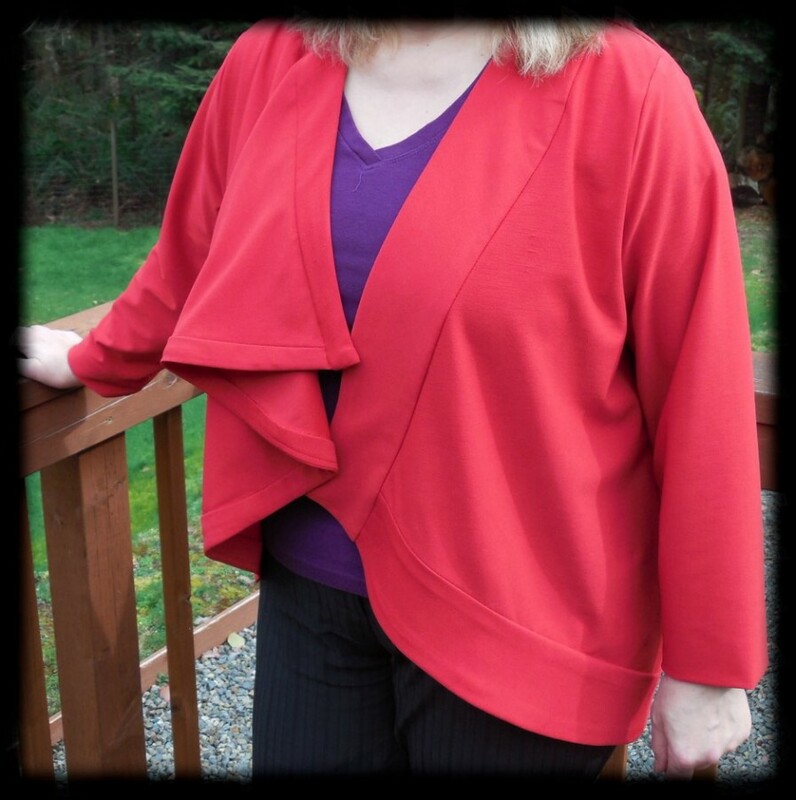 You mentioned a red cardigan in a comment, so this is how it turned out. Really nice to see! Looks beautiful! I love that pattern but have only made view D. It’s a good one, but may try your approach next time. Nice job!